I’ve seen a few book bloggers and bookstagrammers do posts listing some bookish facts about themselves. We al have our own quirks as readers, as well as what we like and dislike. 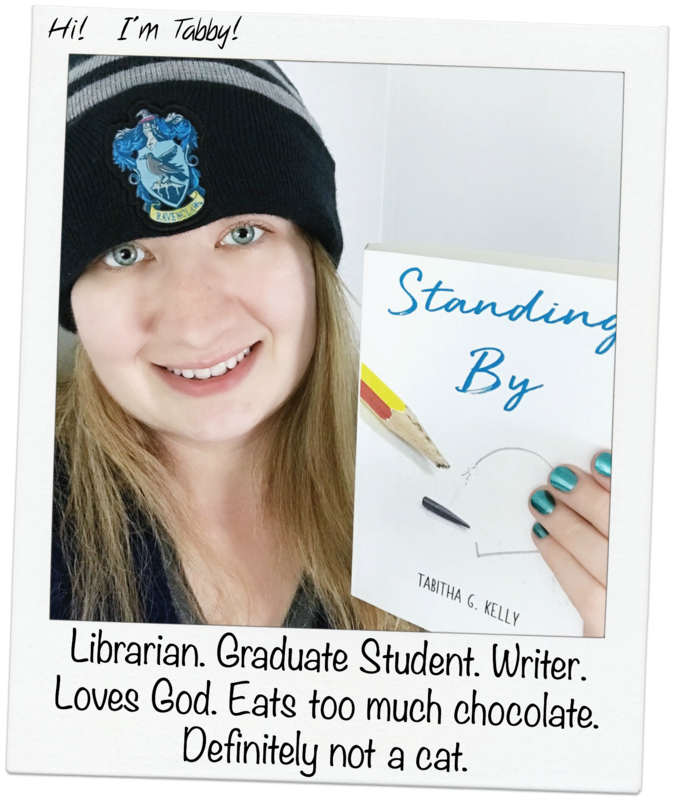 I love learning new facts about my fellow book nerds, so I thought it’d be fun to list some bookish facts about myself as well. I can listen to a sermon or podcast while I’m at the gym in lieu of music, but an audiobook? I just have a hard time with. The only one I was successfully able to listen to (without reading along to the book) was Alex & Eliza. I don’t know what the reader did differently while narrating, but she was amazing and she had a very nice voice to listen to. I’m not dissing audiobooks in the least (though I do hate it when people say they ‘read‘ the book when they actually listened to it) and I actually admire those who can listen to them and remember what happened. I’m just more of a ‘I-need-the-words-in-front-of-my-face’ person. A lot of book bloggers like to post their monthly TBR, or in other words, what they are planning on reading for the month. I tried doing so once, and failed miserably. I’m more of a mood or spontaneous reader – I read what I feel like reading in the moment. Okay, so I buy books faster than I read (and I read pretty fast sometimes). But I would say a majority of books are ones that I say “I’ll get to this eventually” and it’s usually a classic or a book that has been on my radar for some time. It also doesn’t help that I go a little nuts when I see books that I want on sale as ebooks for $2.99 or under. I should really just stop buying books or borrowing books from the library until I read the ones I own that are unread. Yeah, we all know that will never happen. Yes, I took an inventory of the books I own, including ebooks, and put them into a lovely document to keep track of them all. Pretty, isn’t it? And of course, that’s only a snapshot of the entire thing. I will outright say that I typically read YA Contemporary, Romance, and Mysteries. Of course I do like some fantasies (Harry Potter, duh) and science fiction novels. And out of all the genres, most of them can be categorized into young adult fiction, because screw it – I don’t care how old I am, young adult fiction will always be my favorite category of books to read from. I will say that there needs to be more Christian fiction in the young adult category though. Can someone get on that? I mean, I love Karen Kingsbury and all, but yeah… teens need some good, clean fiction too. You’ll never see me with a Stephen King novel in my hands, that’s for sure. I’ve never even touched a western either and probably never will. That whole setting is just… meh. Okay, technically I can if there’s a page break, but I usually prefer to finish the chapter before stopping my reading session. If I do happen to stop at a page break, or the middle of the chapter, it’s only because I know I’ll be getting back to it very soon. I think I might’ve read more than that by this time last year, but I also wan’t enrolled in school full-time. However, now that I have a few months off from classes I’m planning on doing a little more reading and possibly upping my Goodreads Challenge for the year. It’s a sickness, honestly. I’ll go to a library out of town to do some studying or work on another project and at some point I’ll be in the stacks looking around, then somehow I’m leaving with a couple of books that caught my interest. Addie from my personal Instagram account, I have a second one that is dedicated to posting book photos. Because what book nerd doesn’t take pictures of their babies? It’s finally happening y’all! And that’s the secret project I mentioned a few posts back (though I did spill the beans recently on Goodreads). I’ve been wanting to write a book since early high school (maybe before that) but I’ve never had an idea stick. The characters have been there for years, since I was 13, but I just never had a proper story for them. But they’re finally telling it, and I’m writing it all down. I started the book back in mid-February and am currently three chapters away from finishing the first draft (at least, if it goes according to plan, but if you’re a writer you know how stories can be). I’m not going to say much more than that because I’ll dedicate a post just for the book project very soon. Probably in a few days. And those are my bookish facts about myself. For the most part, I think they’re all pretty normal. What are some bookish facts about you? I need to make a book inventory like that! Great post! And the excel inventory of books was a great idea! I’m glad someone agrees about audio books. I’m surrounded by people who love them and I can’t relate to them (just that one time). I feel the same about audiobooks. If the storytelling “voice” isn’t my own, I feel like someone’s just sneezed on my food.